Marjorie Carter (nee Phillips) was born on 25th October 1921 at West View – later 47 High Street – Milton, the 4th child of eventually 6 children of William and Edith Phillips (nee Wilkins). Their children were Jack – who died aged 7 of scarlet fever – Dora, Alma, Marjorie, Russell and Norman. A family of 8/7 in a two up two down terrace cottage with an outside privy and water pump in the garden. When Marjorie was 18 months old she suffered a terrible incident, accidentally pouring a saucepan of boiling water over herself, and badly scalding her forehead. From this time on she had to comb her hair forward to cover the scar and resulting hair loss. Very few would have known this, so effective were her efforts. In the early days, William her father made and repaired boots and shoes, working from the washhouse in the yard. He eventually started a Newsagent/Shop in a screened-off portion of the front room, having bought a round from a man called Bill Shepherd. Over time the business was so successful that they acquired in 1934 a lock-up shop in Blisworth and started a second Newsagent. In 1948 a new shop/house was built, and her parents moved there leaving Sister Alma to run the shop in Milton. 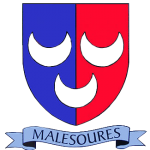 Marjorie went to Milton Parochial School and completed her education at Blisworth, leaving around the age of 14. It was at Blisworth that she first met Ray – son of Chalice and Mildred Carter (nee Thornycroft). As youngsters they would all go to the canal to learn to swim and to socialize! While Dora and Alma both went out to ‘service’ Marjorie was made to stay at home and help clean the house and run the shop. Ray and Marjorie married on 29th June 1940. Ray was called up in October 1939 to serve in the 2nd World War, serving in North Africa and Italy driving DUKS – amphibious vehicles ferrying troops from ship to shore during the invasions of Sicily and Anzio; he was also involved in the famous battle at Monte Casino. During the war, having set up a family home in a cottage on The Green, opposite the School, Marjorie was left alone to raise her first child Pat, delivering newspapers and by all accounts the village post. At one point she did not see Ray for three and half years. Ray came back in 1947 and soon after they had additions to the family, Shirley and Brian. Friday night was bath night with the zinc bath before the fire, water boiled up in a copper in the kitchen! In 1957 the family moved to 4 Church Close. Ray was chauffer-gardener to Frank Webb (of George Webb and Sons). His garden was always a picture. Marjorie’s interests were cooking, playing cards (Whist), raising her family and sharing an interest in the garden. Marjorie had a very strong faith which sustained her throughout her life. She had a forthright but kind and caring personality, fiercely protective of her husband and children but always prepared to help out others. In January 1994 Ray died and Marjorie continued the tradition of a spectacular garden, sowing seeds and nourishing plants to provide a garden display admired by many. Marjorie thoroughly enjoyed attending the Historical Society and wanted to preserve and chronicle the history of the community, priding herself in being a local authority on village life! She was the oldest female resident who had been born and had spent her entire life in the village. 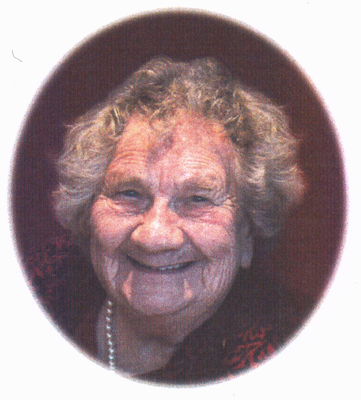 On 30th July 2011 at the age of 89 Marjorie died at home, overlooking her beloved Church.